For the record www.wdnicolson.com is predicting a 16-12 NSW victory. This squad has won SIX straight Origin series and won Game 1 this year to be within a win of SEVEN straight series wins... suffice to say it's still pretty good heading into Game 2! Barba won't play but Parker could be a late inclusion if Matthew Scott is unavailable due to personal reasons and David Shillington or Ben Hannant would start. Sam Thaiday was a late withdrawal, so Corey Parker or Dave Taylor will start. NOT The Footy Show will recap Game 2 in full on Episode 111 this Thursday June 14 at 8:15pm and the Podcast will be uploaded at 11pm. Well it's nice to see NSW finally understanding why it means so much to Queensland. 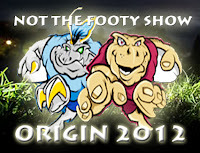 Pre Origin Qld were continually thumped and ignored by pro-NSW Australian selectors. 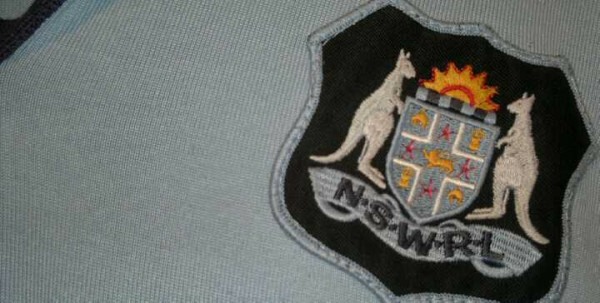 These are the key reasons we despise NSW and cherish every victory and this glorious streak. Finally getting a taste of feeling down trodden. Finally understanding what it was like to be a Qlder. Welcome at last to what origin is about.